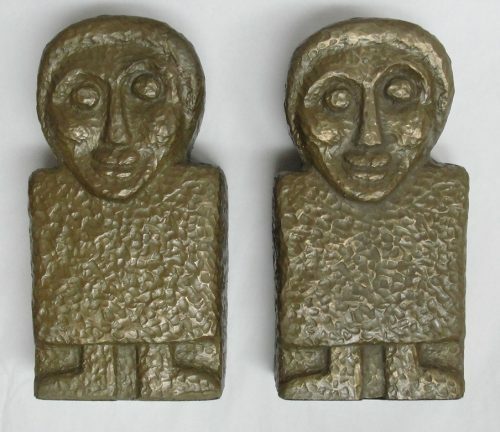 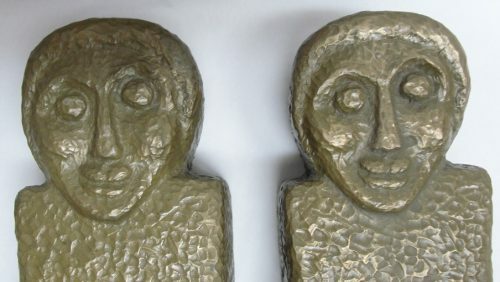 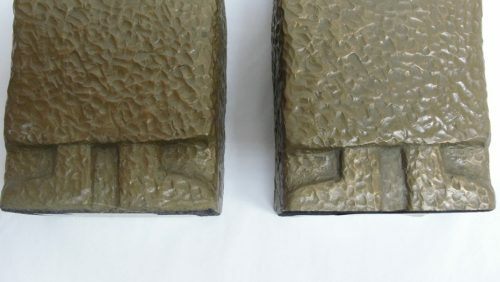 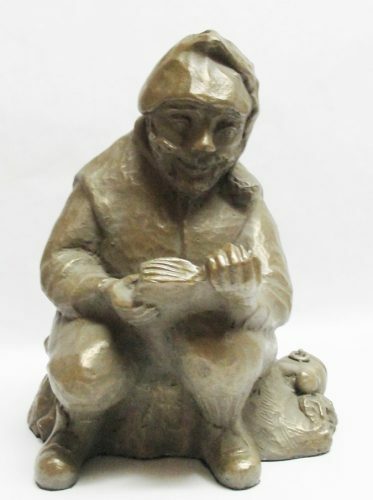 A striking handcast stone and beautifully bronzed set of bookends by Kieran Forde of Forde Crafts Ltd., which closed its doors October 19, 2007. 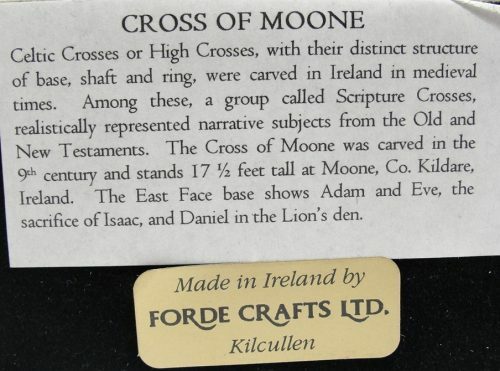 They depict figures taken from the Cross of Moone, which was carved in the 9th Century and stands 17.5 feet tall at Moone, Co. Kildare, Ireland and they are a perfect example of the Ireland of the past. 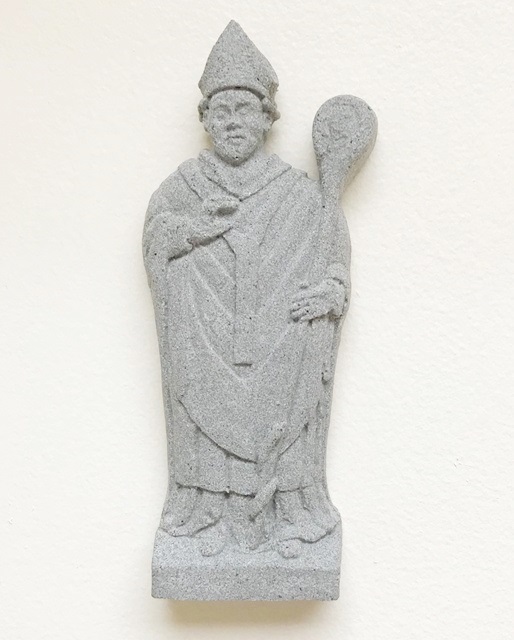 Taking native stone Kieran and his team individually handcasted this at their workshop in Kilcullen, Ireland. 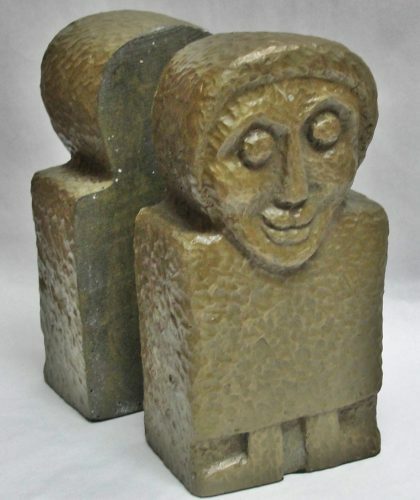 These creations, with all the character and qualities of stone are weather-resistant and may be used outdoors or in. 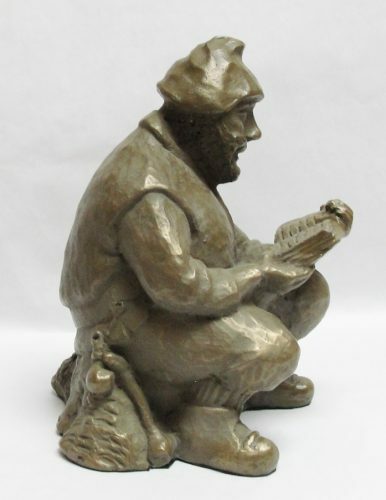 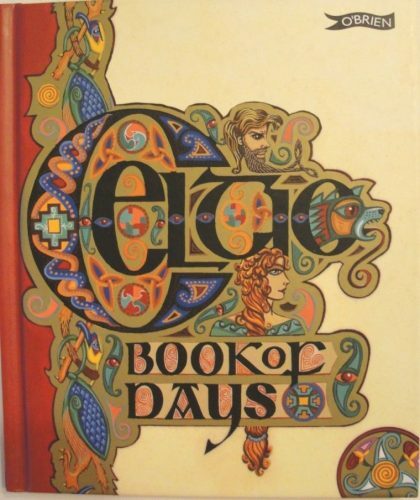 These 6.75″H x 3.5″W x 2.25″D bookends are the perfect example of the artistic craftsman at work.